Dichroic fused art glass sealife pendants. 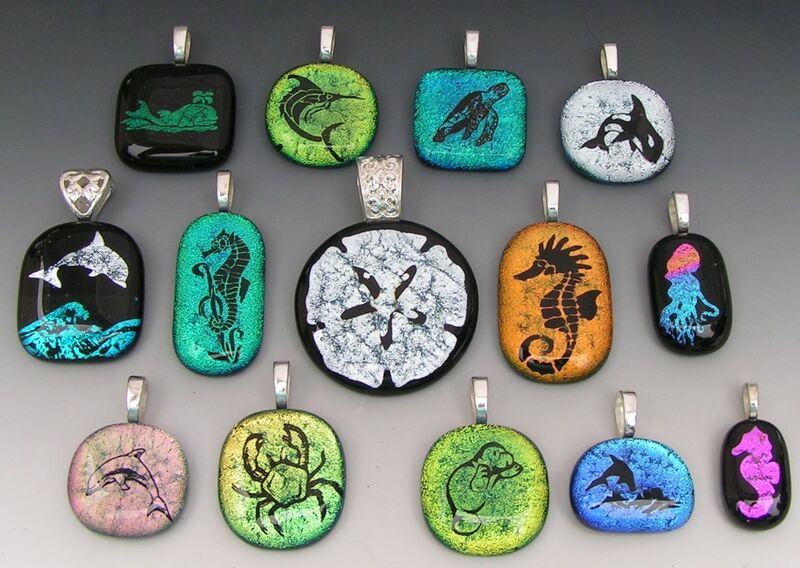 I can make pendants in almost any design, I laser etch the dichroic glass designs. These are just some of what I can make in various colors & sizes.